« SeaSk8 Upd8: Size, users, and data. This entry was posted on Thursday, July 19th, 2018 at 10:53 am and is filed under SeaSk8.You can follow any responses to this entry through the RSS 2.0 feed.You can leave a response, or trackback from your own site. 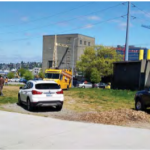 The SDOT location appears promising, but the right of way for the Ride the Ducks is a recipe for disaster. That company is dangerous and I see little hope for much beyond conflict between the skate community, their careless employees and the tourist crowd that keeps that firm in business. Even after the collision on Aurora Bridge a few years back (and more recently the vessel that sunk a few months ago in Missouri), Ride the Ducks disregard for safety is appalling (indeed, last year one of their vehicles came a few feet from hitting my six year old after it jumped onto the sidewalk while turning a corner). The sooner RtD is gone, the better. I am really interested in learning about the skatepark design because the current SeaSkate is disappointing and, frankly, underutilized. And the amount of money spent on it was wasteful. With all the problems in this city, we cannot afford to waste any money on parks that don’t get used. 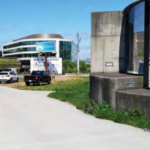 If we mess this one up, then we have little chance of convincing the city to place skate spots/dots in more neighborhoods. What Seattle truly needs is a street skatepark. The community does not need a bowl, as Delridge, Jefferson, Ballard, and Woodland Park has that covered. All those parks are easily accessible on bus routes, too, so there is very little to be gained from pouring money into another large bowl (and I say this as someone who loves skating transition). 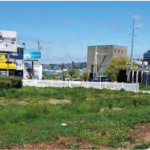 The community needs a park unlike anything that exists in Seattle at the moment. We need a street skating spot with tons of room, some well chosen obstacles, and lighting. 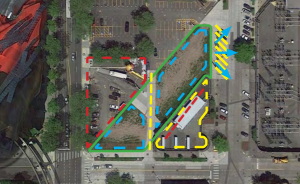 The design should take into account how people will actually use the space, rather than cramming as many elements as possible into a single space (which is more characteristic of nearly all Seattle skateparks). The Cap Hill tennis courts see far more skateboarders on a Friday night than many purpose built skateparks would see in a week, and it is a tennis court! The Seattle Center park needs a ledge, manny pad, bank, and a flat bar in 9,000 square foot area would ensure the park would actually get used. If it were covered, I doubt Seattle would have a more used recreational facility in city limits. A truly useful park will require rigorous discipline—it’s as important what you keep out as what you put in. I know Grindline can built a great bowl, I just don’t think we need another one. Thanks for keeping the community informed. Keep up the good work. As the father of a budding skateboarder, I’m greatful for all the hard work being done to ensure a replacement for Seask8. Thank you!